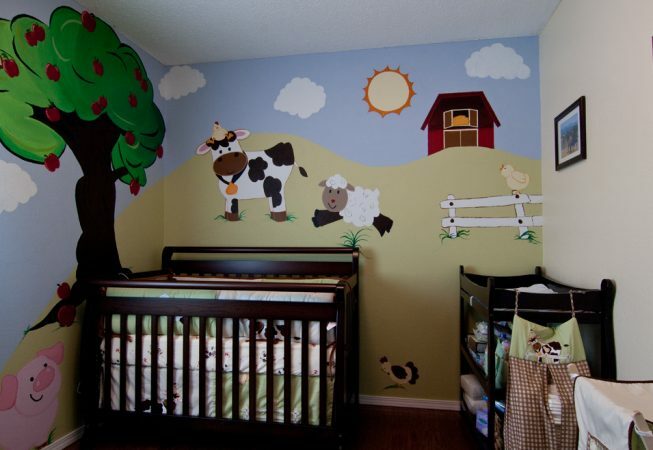 This was a mural painted in a nursery done to match the Pottery Barn Bedding. 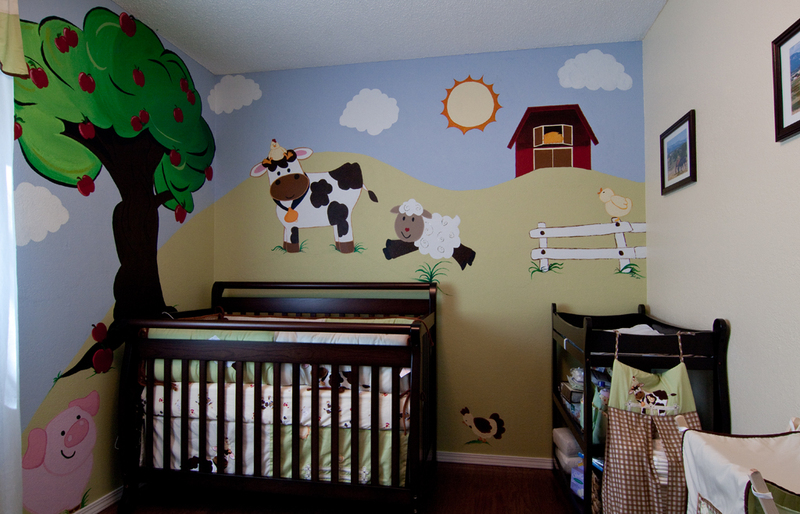 Peter Webb commissioned me to paint this for his pregnant wife and soon to be daughter. It was wonderful and really added a lot of warmth to the room.